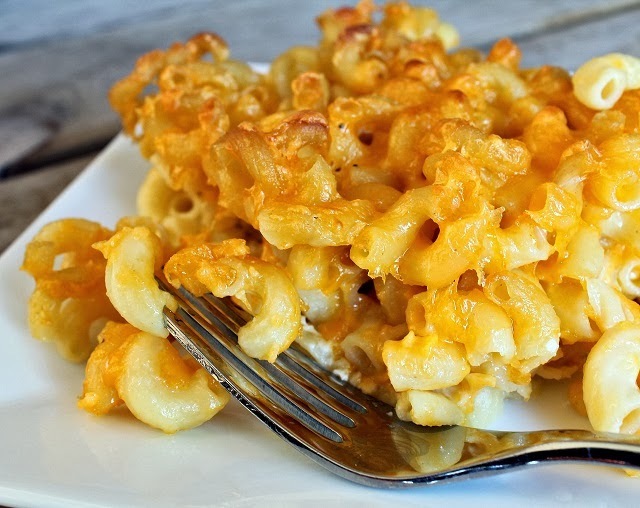 Both nourishing and nurturing, macaroni and cheese tops the list of comfort foods. This creamy, fuss-free recipe is full of healthy ingredients. 1. In large saucepan, cook macaroni according to package directions. Drain and return to pan. Set aside. 2. In large skillet, heat butter or margarine over medium heat; sauté onion and garlic until onion is translucent. Add bell peppers and sauté 2 more minutes, stirring constantly. Add to macaroni. 3. In small bowl, combine milk, Parmesan, cheddar and sour cream. Add to macaroni and cook 10 minutes over low or medium heat, stirring constantly, until cheese is completely melted and macaroni is piping hot. 4. Add salt and pepper to taste. Sprinkle with paprika to garnish.